When the younger crowd thinks of a mid-size sedan like the 2016 Chevy Malibu for sale in Albany, NY, they might see it as an “old-person” or family vehicle. But, that thought couldn’t be any farther from the truth. While it’s true that compact cars are drawing the younger generation like a moth to the flame, the mid-size and full-size sedans shouldn’t be overlooked. The all-new Malibu, in particular, has been designed to appeal to everyone, and draws the younger and older crowd alike thanks to its refined and aggressive design, something both kinds of consumers can appreciate. The up-to-date technology is welcomed with open arms by the younger generation, and the engine under the hood gives this car a good balance of efficiency and spirited performance. As you can see, there are plenty of reasons to change your mind about mid-size sedans. With all the features on the Malibu, it’s nearly impossible now to see it as an “old-person” car. 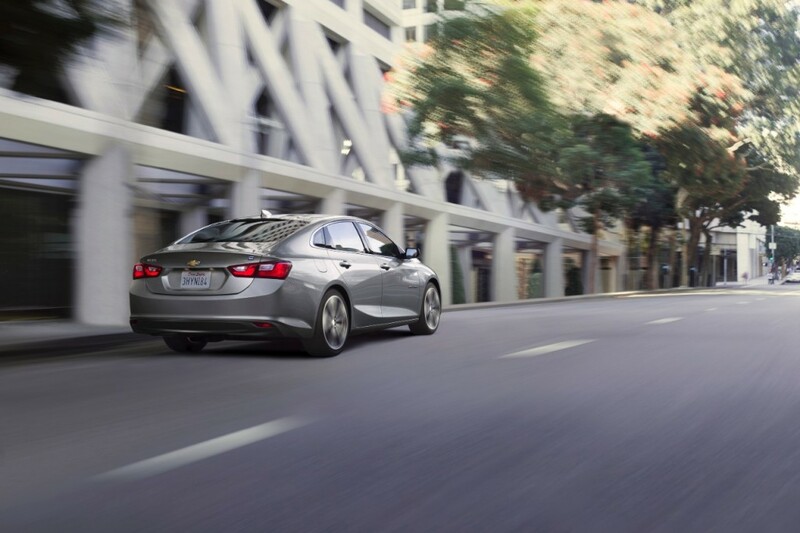 Chevy designed the all-new Malibu with one focus in mind, and that focus was to give it aerodynamic sculpting. When engineering a vehicle with this idea in mind, it’s obviously going to come out sleek and windswept. For a modern sedan, this ends up being a great overall design since you don’t want it to be bulky. Take that sleek style, throw some chiseled lines on it, slap it on an aggressive stance, and provide a lean and mean looking front-end — and you have the 2016 Chevy Malibu. The front-fascia is both aerodynamic and handsome looking. A split-grille leads the way and sits nestled between a pair of headlights that are permanently caught in a menacing glare. On the bottom-half, available LED daytime running lights complement the headlights with dazzling flair. On the hood, the aerodynamic intentions of this vehicle truly stand out with the slender arch and inverted lines that provide just the right amount of definition. 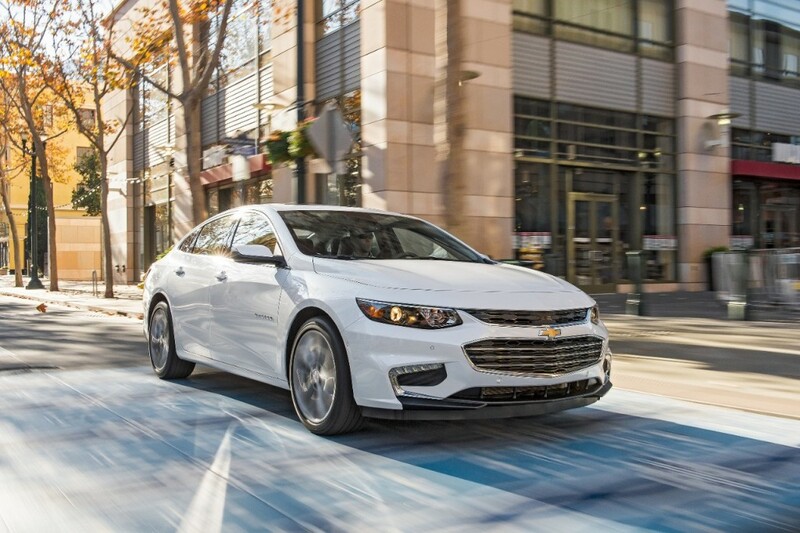 The 2016 Chevy Malibu isn’t a push-over, and the body style lets onlookers know it. On the side, two powerful lines run perpendicular to the tires and curve inward towards the back tire at the last second. These lines create a sharp and strong looking angular cut in the side, which is no doubt for aerodynamic purposes, but also helps channel the eyes of onlookers towards the back-end — where another line that starts just above the door handles runs straight back over the tail lights. These character lines create clear-cut defining angles all over the Malibu and give it a chiseled and strong appearance. After the character lines have directed your eyes towards the back, the first thing you will notice is that the back sits slightly higher than the front, which is what provides the Malibu its athletic stance. Rounding off the design, dual exhaust outlets and pinched taillights finish off the suggestion of sportiness in the Malibu. With a closer look at this design, it’s safe to assume that the 2016 Malibu would make a great first impression on younger drivers if they took the time to inspect it. In 2016, the younger crowd finds their cell phones at the constant center of attention, which is why the all-new Malibu has plenty of hip technology to satisfy those technological urges while keeping your hands and attention focused on driving. 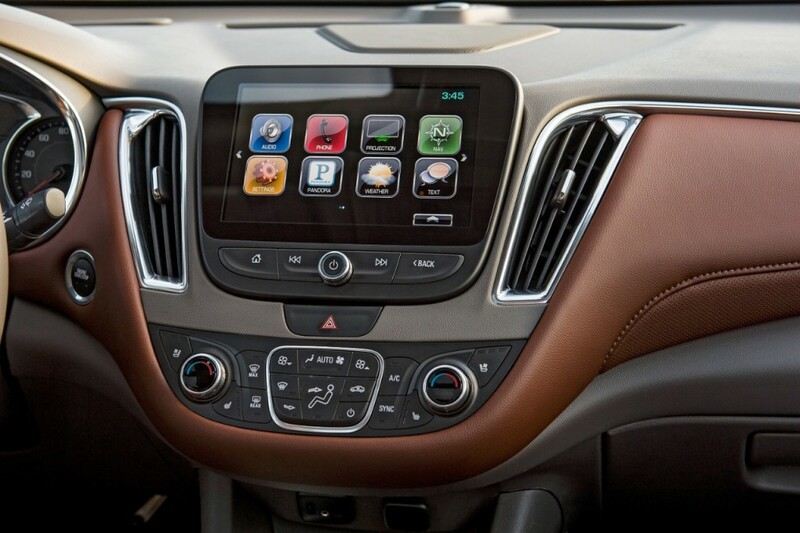 Specifically, Chevrolet MyLink with the infotainment touch-screen display will prove an attention-grabber. Chevrolet MyLink provides a safe and seamless Bluetooth experience, so that drivers can have easy access to playlists, contact lists, and hands-free calling. Android Auto and Apple CarPlay are also on board as well and provide the driver with an even more in-depth smartphone integration experience. For those using Android phones, they will have an easy and safe way to access apps, music, calendar, navigation with Google Maps, and even send or receive hands-free texts. Apple CarPlay also took it up a notch, and allows iPhone users to get directions, make calls, and listen to audio books and music. Chevy knew that having all these features might eat up a lot of data, which is why they added 4G LTE Wi-Fi to the Malibu. This provides the Malibu with a hotspot that has a faster-than-data connection for up to seven devices. Whether you are in the woods or the city, you will always have easy and hands-free access to all the great features on your phone. Younger drivers; if this isn’t enticing, then you must have an old soul. If you are young and trying to get your start in the world, then you know that saving money on high fuel prices is key. But, chances are that most of you don’t want to give your friends a ride in an electric vehicle. You also know, however, that it’s important to have some fun behind the wheel. How can you score the best of both worlds? Easy! In a midsize sedan, like the Malibu. Regardless of the trim level you pick, you’ll have spirited and efficient performance whenever you hit that gas pedal. On the first three trims, the 1.5-liter four-cylinder turbocharged engine comes standard. It puts out 163 horsepower and 184 lb-ft of torque, which is your standard amount for a mid-size sedan. However, it’s also able to return 27 mpg city and 37 mpg highway (31 mpg combined), which is, impressively, almost on par with compact cars like the Cruze. This engine option comes standard on the remaining trim levels and is paired to an eight-speed automatic. The 2.0-liter turbocharged four-cylinder is able to crank out 250 horsepower and 260 lb-ft of torque. While that might not prove to be much on a full-size sedan, that gives this mid-size Malibu some serious punch when you hit the gas. And the best part is, that fun behind the wheel isn’t dampened by bad fuel economy. On the contrary, the return of 22 mpg city and 33 mpg highway (26 mpg combined) is actually rather impressive for an engine that puts out this much horsepower and torque. With these two engine options on board, whether you want to save as much money as possible or sacrifice a little fuel economy for some more fun on the road — the Malibu’s got you covered. Based on what we’ve just explored about the all-new 2016 Chevy Malibu, it’s clear that it’s not just for families — or “old people.” With its aggressive and sleek nature, hip technology, and efficient performance with a punch, it’s clearly perfect for the younger crowd as well.